With all the tablet speculation heating up for this month’s unannounced media event, you’d expect rumors of the next-gen iPhone to take a back seat, even if just for a month. What we’re seeing is quite the contrary. With the newest set of predictions to hit the web, it’d seem Apple’s working overtime to distance itself from its competitors. Among the speculation, an analyst at Goldman Sachs, Robert Chen, discussed the possibility that the fourth-generation iPhone would share the same technology behind Apple’s Magic Mouse to provide multitouch capability on the back casing. Apple has previously filed for patents regarding a backside interface for handhelds. A change this drastic would definitely be unavailable for owners of the 1st-3rd generation models. Chen continues on to say the iPhone 4G (generation, not network) would begin manufacturing in April, available as early as June, and upgraded with a more capable camera. A DigiTimes report back in December claimed Apple had secured orders with OmniVision Technologies for 40-45 million 5-megapixel camera sensors for 2010. 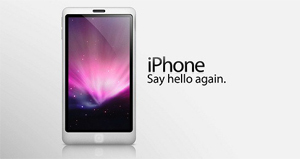 OmniVision won the contract to supply Apple’s 3.2-megapixel sensors found in the iPhone 3GS. A more recent report from AppleInsider says Apple is looking to order LED camera flashes, leading to the belief that these would be used for the next-gen iPhone. A separate report from The Korea Times says this year’s iPhone could debut as early as April, in an effort to combat stronger competition from Google’s Nexus One and Motorola’s Droid. They say the newer model will be sporting an updated OLED screen, front-facing camera for video chat capabilities, and a “highly likely” removable battery. A report from earlier this year from TheStreet said Apple will be using a Qualcomm chip for a Verizon iPhone since no vendors could produce one compatible with both CDMA and GSM technologies on Apple’s timeline. It’d be too easy to argue that many predictions like an updated screen and better camera are no-brainers. The Nexus One and Motorola Droid, the two most often compared to the iPhone, both have higher pixel density than all three iPhone generations making the iPhone’s seem dated. The front-facing camera and CDMA model are annually repeating rumor that began as the 2nd generation grew close. Until more reports pop up with much of the same data, stay skeptical. Do you think any of these rumors are true? 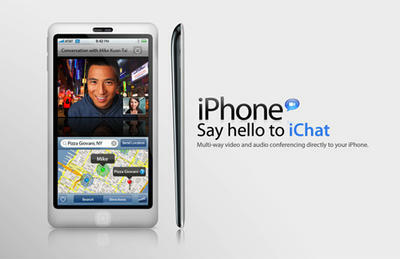 What do you hope to see added to the iPhone 4G? Share your deepest desires in the comments.